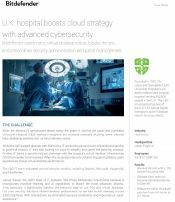 When the WannaCry ransomware attack swept the globe, IT staff at the Luton and Dunstable University Hospital (L&D) worked throughout the weekend manually shutting down external links, deploying patches, and running intensive scans. While they dodged disaster, IT wanted to respond more efficiently and quickly to potential attacks. 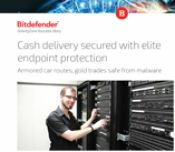 The team chose Bitdefender GravityZone Enterprise to protect its entire infrastructure, including more than 8,200 virtual desktops, virtual and physical servers, and physical workstations. 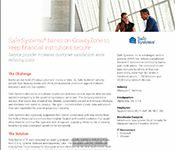 GravityZone safeguards workloads spanning the hospital’s diverse infrastructure featuring, Citrix XenDesktop, Microsoft Hyper-V, Microsoft Azure, and VMware environments. 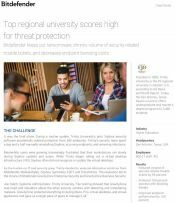 During a routine update, Trinity University’s prior Sophos security software accidentally deleted protection from 550 endpoints. Trinity’s security team spent a day and a half manually reinstalling Sophos, scanning endpoints, and removing infections. After evaluating several solutions, Trinity chose Bitdefender GravityZone Enterprise Security to protect nearly 3,300 Microsoft Windows and Apple workstations, Windows and VMware vSphere servers, and VMware Horizon View virtual desktops. Keeping a security solution updated across an organization should be the easy part. It’s fending off constantly evolving cyberthreats that often is the bigger challenge. For HAN University of Applied Sciences, protection against advanced attacks, security administration, and performance were issues when it used McAfee security solutions. Not only did McAfee miss infections, but also during updates, HAN’s thousands of workstations and servers were frequently disabled or the updates missed certain systems altogether, causing them to lack the required level of protection. As McAfee was downloading and applying updates and performing antimalware scanning, workstation and server performance became sluggish and often resulted in hours of downtime for staff, faculty and students. The company is one of the largest providers of medical and dental insurance and insures hundreds of thousands of federal government employees in the United States. 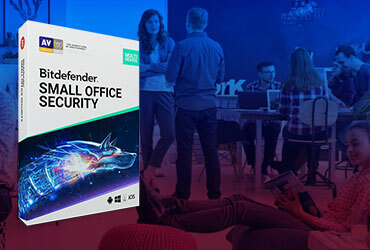 Prior to Bitdefender, the company used Microsoft System Center Endpoint Protection (SCEP) and Trend Micro Deep Security. As attack vectors became more sophisticated, ransomware and other threats began bypassing the solutions. In fact, one attack locked out 80 percent of employees from accessing their files for 13 hours. 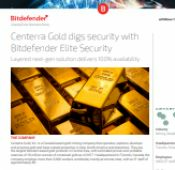 To address growing security concerns, the IT team evaluated Cylance, Trend Micro OfficeScan, and Bitdefender GravityZone. This award-winning non-profit human services organization provides children, adults, and families with resources to help them rise above adversity. Serving greater New York City, the organization delivers juvenile justice, child welfare, early childhood and special education, and health services to 12,000 individuals each year. The organization was concerned that its previous endpoint security software provided by Symantec would not provide adequate protection against ransomware. Such a breach would compromise clients’ personal confidential information and interrupt delivery of vital services. This global provider of positioning, modeling, connectivity, and data-analytics solutions with offices in 35 countries supports customers in agriculture, construction, geospatial mapping and transportation, and logistics with products and services that improve productivity, quality, safety, and sustainability. Security was once a regional affair at this company. As a global operation, they used separate installations of Sophos solutions for the Americas, Asia-Pacific, and Europe. The challenges were that security management was not centralized, policies were not always consistent, and security reporting and analytics were not easily shared. When IT wanted to consolidate the Sophos installations, it discovered the solution lacked the ability to centrally manage its far-flung global environments. In addition, Sophos was regularly missing infections, putting an increased burden on IT to manually resolve issues and restore data from affected systems. Sophos scanning also made workstations run more slowly. In response, IT evaluated and tested Symantec, Bitdefender, as well as a newer Sophos solution. 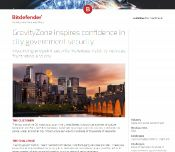 Bitdefender GravityZone was the stand-out choice. It was a Friday “tradition” at Barnsley Council. When their previous security product performed weekly scans of employees’ desktops and laptops, the machines would become so slow, productivity would nearly grind to a halt. The impact was so severe that town officials supporting Stage 2 of the Tour de Yorkshire road cycling race asked the security team to stop scheduled scans. Another concern was that ransomware attacks were bypassing the previous security product and encrypting file shares. It would take IT 24 hours or longer to repair affected systems and restore data while 200-300 users were unable to access their files. In response, Barnsley Council’s IT evaluated Bitdefender, Trend Micro, Cylance, Microsoft, and Sophos solutions. The winner: Bitdefender GravityZone. A few years ago, Denis Muckensturm, IT Manager for Les Jardins de Gaïa, took a vacation he is unlikely to forget. Enjoying his time off 1,000 kilometers from home, he received a call from an employee who reported that files on several computers had disappeared or been encrypted. Working remotely with an IT support firm, he removed the ransomware. Approximately 60% of employees were not able to work for one day. After this experience, Muckensturm decided to replace the Trend Micro security solution. BLDD Architects, Inc., founded in 1929, is a renowned architectural and structural design, master planning, interior design, building information modeling, and graphic design firm. When Dan Reynolds joined BLDD Architects, Inc., he was excited about increasing IT efficiency and agility with software-defined datacenter technologies. It wasn’t long though before he ran into a roadblock. BLDD’s prior workload-security solution was not optimized for virtualized environments. Eventually, he discovered Bitdefender GravityZone Enterprise Security. Great Expressions Dental Centers (GEDC) is one of the largest dental service organizations (DSOs) in the United States and operates over 275 dental locations in 10 states. Growing from 23 to 277 offices in 15 years, GEDC anticipates their growth to continue. Yet GEDC’s prior security solutions, including Viper, Sophos, McAfee, and Symantec Endpoint Protection, were presenting risk, performance issues, and operational inefficiencies as the company grew. Sophos, for example, failed to completely block the WannaCry attack. More recently, Symantec impacted performance of one file server so severely that IT had to remove the software, exposing GEDC to risk. Advanced Cabling Systems provides customers with video surveillance, security and fire alarm solutions, as well as audio-visual, access control and network integration services. With six facilities in Arkansas, Oklahoma, and Missouri, the company serves 3,144 customers across 24 states. One of the fastest-growing building security technology integration firms in the U.S., Advanced Cabling Systems had avoided ransomware attacks for years. The IT team knew this luck would only last so long, particularly considering the shortcomings of Trend Micro, its prior security solution. Businesses want to verify that prospective partners are financially viable, with strong credit histories. Offering the industry’s most predictive scoring algorithms, Creditsafe helps businesses make sound, informed decisions about engaging with other firms. 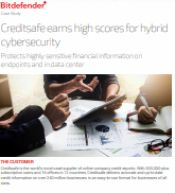 Creditsafe must ensure its information is secure from cyberattacks, while maintaining superior system performance for its employees and high virtualization density for optimal efficiency. The company’s prior security solution offered IT limited visibility and reporting about outbreaks. Its scanning of servers and laptops would also slow system performance and reduce productivity of users. To resolve these issues, Creditsafe conducted proofs of concept against a range of competitive solutions. Netrix Information Technologies, Inc. (Netrix IT), a managed services provider (MSP) offering a range of IT services, has always ranked data security as a top priority when serving clients. As cyberattacks have grown more sophisticated, Netrix IT discovered that its prior security solution, VIPRE, was no longer up to the task of repelling these threats. When ransomware and other malicious threats infected client sites, Netrix IT needed to spend several hours, or even days, reimaging systems and restoring data backups. Plus, Netrix IT found the VIPRE management interface clunky and difficult to use. When clients entrust their investments to a financial firm, they expect their money and personal data to be extraordinarily secure. Breaches can severely damage a financial firm’s reputation and cost millions of dollars in penalties. Quilvest (Switzerland) treats data security as a top priority. The Trend Micro security solution the company was using stopped viruses and malware but a lack of performance grew more pronounced as Quilvest (Switzerland) moved toward virtualizing its infrastructure, which includes Microsoft Hyper-V, Citrix XenServer, and VMware ESXi hypervisors, as well as Citrix XenDesktop and XenApp solutions for desktop and application virtualization. Esurance, one of the nation’s leading insurance firms, provides auto, homeowner, motorcycle, and renter insurance directly to consumers online and over the phone, 24x7. With 3,000 associates, Esurance serves customers in 43 states. Years ago, the only way to purchase insurance was through an agent during normal business hours. Esurance changed all that by selling insurance directly to consumers via the Internet or phone. 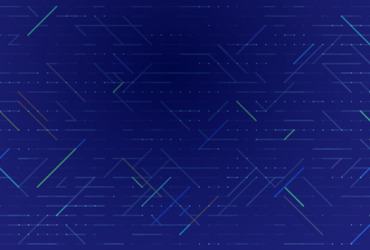 Esurance again led the industry with an initiative to make its workforce more agile with cloud-based tools and applications. The move to cloud revealed gaps in the Symantec security solution Esurance was using. For example, Symantec inconsistently distributed updates, leaving certain systems unprotected. In addition, field workers would not plug into the corporate network for weeks or months at a time, missing security updates. To address these issues, IT tested various security solutions, including Bitdefender, CrowdStrike Falcon, Trend Micro, Carbon Black and Palo Alto Networks. Bitdefender rapidly rose to the top. Mentor, a Siemens business, is a world leader in electronic hardware and software design solutions, providing products, consulting services, and award-winning support. Mentor has 6,000 employees and operations in 80 locations worldwide.Mentor’s IT strategy focuses on adopting technologies that aggressively reduce costs, improve system performance, and increase operational efficiency. 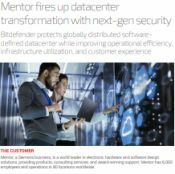 In recent years, IT consolidated Mentor’s geographically dispersed datacenters to two datacenters, in the U.S. and Ireland, and virtualized thousands of servers and desktops. Initially, IT was using a security solution that required installation of agents on every virtual machine (VM). As Mentor scaled to 10-plus VMs per physical server host, system performance slowed to a crawl during security scans. Not only did this reduce end-customer satisfaction and workforce productivity, but it slowed the work of the software engineers who create products for customers as well. 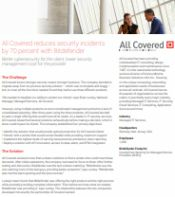 All Covered knows stronger security means stronger business. The company decided to migrate away from its previous security solution – which was incomplete and buggy – but, to cover all the functions needed, found they had to use three different products. “We needed to heighten our ability to protect our clients,” says Brian Luckey, National Manager, Managed Services, All Covered. However, using multiple products at once complicated management and led to a lack of consolidated reporting. 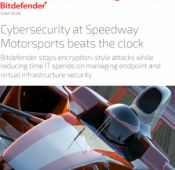 Managing endpoint security for a myriad of devices for 1,200 employees in 12 locations across the U.S. was a major time sink for the IT team at Speedway Motorsports. In one year, four encryption-style cyberattacks required IT to spend 9-12 hours on data recovery and threat removal after each incident. Depending on the site, 50-150 users were affected, and some data was lost. IT witnessed 48 additional attacks the same year—with IT spending an average of four hours for virus removal on each one.The problem was that viruses and malware often bypassed the company’s prior security solutions: Symantec Endpoint Security and Microsoft Security Essentials. 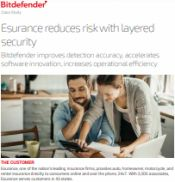 IT tested several alternative solutions, and Bitdefender GravityZone Enterprise Security soon became the clear choice. Centerra Gold, Inc. is a Canada-based gold mining company that operates, explores, develops and acquires gold and base metals properties in Asia, North America and elsewhere. Headquartered in Toronto, Canada, the company employs more than 3,000 workers worldwide, mostly at remote sites, with an IT staff of approximately 80. IRIS Solutions, a managed IT service provider, ranks top-notch customer support among its most important values. This value is evident in the quality of their IT offerings, including security solutions. 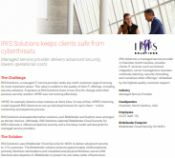 Engineers at IRIS Solutions knew it was time for change when their previous security solution VIPRE was not working effectively. 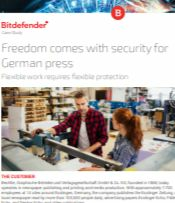 The Bechtle Verlag & Druck IT team knew that reliable antivirus software would be vital to the company’s operations. The publisher’s network features a wealth of confidential data, and cleaning up a computer – a process indispensable after an infection – would be inconceivable in the hectic production environment of a daily newspaper. With these prerequisites in mind, Wegener’s team started its search for a new AV solution. As a service provider, Magic Cloud has more than its own operations to worry about. The company also has hundreds of customers running their businesses from its cloud-based infrastructure. That demands reliable, high-performing, secure operations. 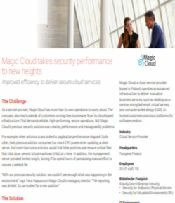 But Magic Cloud’s previous security solution was creating performance and manageability problems. The large research-focused university relies on open networks to support learning and collaboration among students, professors, and researchers internally and with other organizations worldwide. With this openness comes increased vulnerability to cyberattacks. The university previously relied on Avast but found it difficult to manage endpoints from a central management cluster. The solution also consumed significant memory resources, slowing computers and prompting numerous trouble calls to the IT support team. In addition, Avast often missed infections and compromised systems, and offered limited technical support to resolve these issues. For years, MspPortal Partners used Kaspersky Antivirus and Trend Antivirus software to protect its clients’ endpoints, but they were not keeping up with advanced threats like ransomware. Kaspersky and Trend also lacked a management dashboard suitable for MspPortal Partners’ multitenant environment. When product support dropped off, MspPortal Partners decided to look for a more advanced, trustworthy endpoint security solution. Safe Systems decided to re-evaluate its previous antivirus solution against other security solutions competing in the accelerating malware arms race. The company needed a solution that would stay ahead of new threats, consistently prevent and remove infections, and eliminate time spent on cleanup. The goal – to protect their clients' data and protect their own reputation for providing top-notch security. In today’s classroom, learning takes place online as much as it does with books. That means school systems must keep students and teachers safe online and comply with the Children’s Internet Protection Act (CIPA). With thousands of user devices and a myriad of operating systems and browsers, the School District of Clay County knows this is no easy feat. Xelvin is a specialist in outsourcing entrepreneurial technicians, partnering with enterprises across Europe to provide flexible staffing solutions to fill open positions. This requires handling personal and sensitive information about both employer and employee. To protect confidential information from cybercrime, Xelvin previously used endpoint protection from Kaspersky Labs. With 40,000-plus spam emails per week targeting Xelvin’s Exchange servers, workstations and virtual machines, 100-200 spam messages got through. In some cases, they included malware that disrupted productivity, jeopardized sensitive information, and took IT staff up to an hour clean up. Sometimes, legitimate emails were blocked. Plus, updating rules was time-consuming because Kaspersky had separate consoles for endpoint antivirus, file servers and Exchange. Saint Francis Healthcare System is a 308-bed facility serving more than 713,000 people throughout Missouri, Illinois, Kentucky, Tennessee and Arkansas. With patients’ health at stake, physicians need uninterrupted access to vital medical information. Saint Francis Healthcare System’s previous antivirus software, from Trend Micro, made this more challenging because it erroneously blocked critical applications, requiring doctors to call for support at all hours. The Trend Micro software also created scan storms, dragging virtual desktop sessions to a crawl. This forced the IT team to remove antivirus programs from the virtual desktop infrastructure, leaving thousands of endpoints unprotected. The Socorro Independent School District (SISD) in El Paso County, Texas operates 47 schools spanning pre-kindergarten through high school. It serves more than 46,000 students with innovative programs that focus on college and career readiness. Providing IT capabilities for a school district as large as SISD requires a massive infrastructure - and security software that prevents breaches. But SISD's Kaspersky Labs solution was missing viruses, malware and ransomware, reporting too many false positives, frustrating users and causing security administration headaches. Karlstad University has shifted quickly to mobile computing. In only four years, the percentage of laptops versus desktops increased from 50 to 99 percent. Security management time increased and an on premise security server made updating an endless process. As a result, the University’s IT staff endeavored to find a solution able to monitor and protect endpoints on and off campus. Lebenshilfe Heinsberg e.V., a German association dedicated to the advancement of people with physical and mental disabilities, provides personal care for more than 1,800-plus patients. Employees of the association deal daily with highly sensitive client files, diagnoses and nursing records of the people under their care. Developing and preparing veterinary pharmaceuticals requires a powerful, reliable IT infrastructure, including innovative systems for secure IT-based business processes. The company’s existing security solution only scanned endpoints and file servers for malware, and it sometimes degraded system performance, forcing the company to disable scanning during business hours. The security system had no Exchange module either, so e-mail traffic was not secure, and it could not reliably protect mobile devices. So, the company’s IT managers decided to seek a security solution that offers maximum security, doesn’t affect system performance and is easy to use. ZIEMANN GRUPPE customers demand extreme reliability – a delay of just one of the company’s 800 armored vehicles could prompt cash shortages and raise security risks. So ZIEMANN GRUPPE demands extreme reliability from its IT equipment, as most processes are computerized. At ZIEMANN VALOR, a subsidiary specialized in precious metal and foreign money wholesale services, the IT systems guarantee that forex and gold prices are up to date and all transactions for customers are smooth and transparent. ZIEMANN SICHERHEIT, the group’s cash transportation business, uses software for efficient route planning. Even though the University of Urbino’s origins extend back hundreds of years, the academic institution has an advanced IT infrastructure with modern-day requirements similar to a large enterprise. 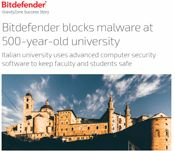 When it came to computer security, university faculty and administration were increasingly frustrated by the performance of two former antivirus solutions, ESET Nod Antivirus and Trend Micro. Users complained about system slowdowns and, more seriously, attempts to eliminate viruses were not always successful. Keeping 36,000 desktops, laptops and tablets, along with physical and virtual servers up and running, in peak performance and cyber-secure is a never-ending process. Chasing down infections with the district’s old Microsoft System Center Endpoint Protection (SCEP) security solution slowed users’ devices and didn’t always yield enough information to root out the problem. Just about all information handled by the 700 employees of German human resources service provider ZAG Personal & Perspektiven is protected by the German Federal Data Protection Act: application documents, employment contracts, employee ratings and information on salaries and wages. Employees at the company’s various branch offices scan the applicants’ documents, then file them in the central ERP system in Hanover which has been set up specifically for ZAG. The Kansas Development Finance Authority (KDFA) promotes economic development and prosperity for the State of Kansas by providing efficient access to capital markets through various tax-exempt and taxable debt obligations. KDFA works with public and private entities to identify financial options to fund capital projects for public and private entities. Northeast Iowa Community College (NICC) serves eight counties in northeast Iowa and surrounding areas with two campuses and 11 service locations, offering more than 85 academic programs. NICC, with more than 5,000 full- and part-time students, is committed to providing accessible, affordable, quality education and training to its communities. Founded in 1982 with a single salvage yard in California, the company today is a global leader in online vehicle auctions and a premier destination for vehicle resale and remarketing. The company operates in 190-plus locations across 11 countries, and offers more than 125,000 vehicles for auction daily. Serving the town of Pico Rivera, California, the El Rancho Unified School District educates 8,700 K-12 students in 17 buildings across the region. A centralized IT staff of eight support all classrooms and administrative computing. The city, one of the 50 most populous in the United States, is known as a center of culture, recreation and Fortune 500 businesses. Governed by a mayor and city council, it provides fire, police, water, and other city infrastructure services to hundreds of thousands of residents. With over 500 employees, and students spread across 9 campuses including Chadstone in Melbourne’s outer East across the state to Lakes Entrance, virtualisation was high on the priority list when ICT Services Manager, Jason Phillips, was researching a new antimalware solution for Federation Training. As one of the largest farming cooperatives in the U.S., this dairy cooperative is owned by approximately 15,000 members across 48 states, and is one of the largest food exporters in the world. Organizations today are being tasked to do more with less. Business leaders look for technology solutions that can increase efficiencies and lower costs. Rudersdal Kommune’s IT department provides service to many departments within the municipality, which includes the smooth operation of over 120 institutions in 180 locations within the municipality. The municipality is responsible for the operations of a number of services, which include health centers and elder care, waste management, transportation, roads and maintenance, among others. Thisted Municipality is a Danish municipality in the Region of Nordjylland. The Centre for IT and Digitization needed a security solution that would ensure the protection of all municipal employees regardless of location. Modernization Agency brings together the Ministry of Finance work with financials, agreements and management in the Danish state. 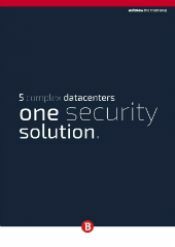 The State’s large virtual environments are among those being protected by Bitdefender GravityZone Security for Virtualized Environments (SVE), the solution that manages and ensures security of the virtual environments, works with all types of hypervisors and solves the traditional challenges in virtual environments. The Clipper Group is a global leader in bulk shipping that operates some 150 ships and has more than 1,500 employees working on the ships and in the offices in nine countries. The IT department began in 2013 to seek a new security solution for their extensive network that spans four continents. Olympus Milk Factory from Brașov is the largest and most modern of all the group factories, with 70% of production exported in Europe, USA and Australia. With 90% of the systems migrated to Microsoft Windows Professional, the Olympus wanted to ensure that the IT staff was able to centralize control and provide strongest antimalware protection without slowing the network. Moreover, the company wanted to move to a cloud solution. Many enterprise organizations today are leveraging Infrastructure as a Service for the ability to deploy cloud solutions quickly and efficiently and be responsive to customer demand. Often times this means finding a Security as a Service provider to ensure that the infrastructure is protected both from internal and external threats. More and more, the worlds of agriculture and technology are colliding, and for good reasons. Gerawan Farms, the largest grower and distributor of ‘stone fruits’ in the U.S. and across the world, depends on a distributed but highly connected workforce both within the orchards and office/processing areas. According to Tad Uhl, Manager of Information Technology, while mobile devices and other technologies presented significant advantages, the company needed to unify and centralize their security. An Amazon Web Services (AWS) customer, focusIT specializes in Software-as-a-Service solutions for more than 1000 customers the mortgage, financial services and professional services industries throughout the U.S.
After deciding that traditional AV was going to be headache to roll-out and support, focusIT turned to Bitdefender. Kansas-based, Citizens Savings and Loan serves approximately 10,000 customers throughout the state, mostly military personnel and their families, along with many law enforcement and local factory workers. In 2009, Citizens Savings and Loan moved to VMware’s virtualization platform to save costs and consolidate services. Managed Service Provider, Webhosting.net provides essential services to many businesses in the southern U.S.A.
As a committed VMware customer, COO, Jose Uribe sought a proven security technology that would support and enhance Webhosting.net’s customer offerings, particularly for Desktop-as-a-Service (DaaS). The company required a fully protected virtualization environment, with the smallest footprint, and the lowest impact on performance. One of the main challenges for service providers is not only delivering top notch protection and service to customers, but centralizing management of customer solutions. 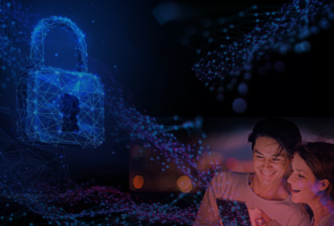 A committed VMware customer, Ideal Integrations, was looking for a security solution to do just that – protect and centralize security – but more so, give the company a competitive advantage. Like most municipal governments, Herning Kommune is responsible for the safe and consistent delivery of services to its citizens. A committed VMware customer, the municipality uses vCloud Director as the platform of choice to serve the IT departments of a distributed workforce of more than 9000 employees. Mikael Korsgaard Jensen, Server Manager, sought a security provider that would perform well and not hinder users’ productivity. But it was also important to work with a highly responsive security vendor. Colorado-based, iPremise is responsible for delivering secure and crucial IT services and solutions to its customers. Like many businesses, iPremise was working with a security vendor whose solutions were not built for virtualization and cloud environments, to the degree that they detect unprotected devices and prevent malware through those undetected devices. Company president, Rob Bosch needed to deal with this challenge quickly, or risk putting his customers and his own business in jeopardy. Like any university or college, the scale and numbers of individuals accessing data is significant. Public Authority for Applied Education and Training (PAAET), Kuwait’s largest higher education institution deals with a complex IT environment. 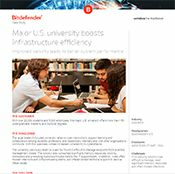 The university had used other security solutions in the past, but none provided the control that IT operations needed for campus-wide applications and visibility around which devices were gaining access to the network at any given time. Large and complex institutions like universities or colleges work with a multitude of technologies to deliver efficient learning and working environments. The University of Bucharest IT department, like many educational settings, deals with a highly mixed infrastructure that demands not only protection, but centralized management and control. The university was using several security products and found administration very challenging, and needed a solution that would help the institution enforce a common security policy.